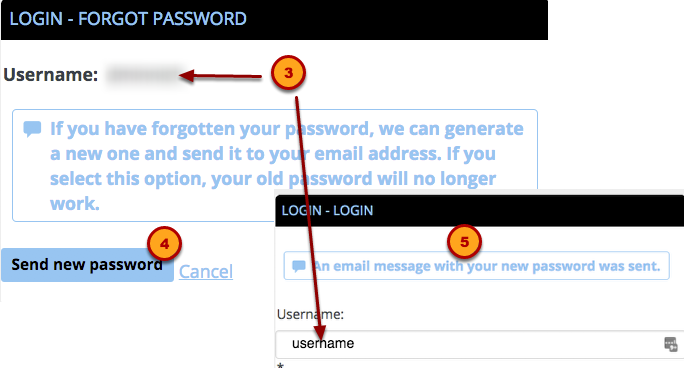 my.CIA.edu/Help CECO User AccountsHow do I reset my lost CE password? How do I reset my lost CE password? This information applies to students of CECO. If you are a CIA student or employee this will not apply. Click "I forgot my password"
The email will come from Web and the email address witll be web@cia.edu. If you don't see the email, check your Spam or Junk folder. 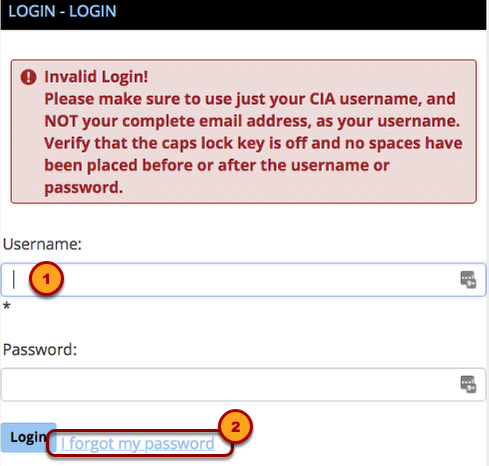 It is recommended that you login to my.cia.edu and change the password right away to your own password. Prev: How do I change my CE password? How do I change my CE password?